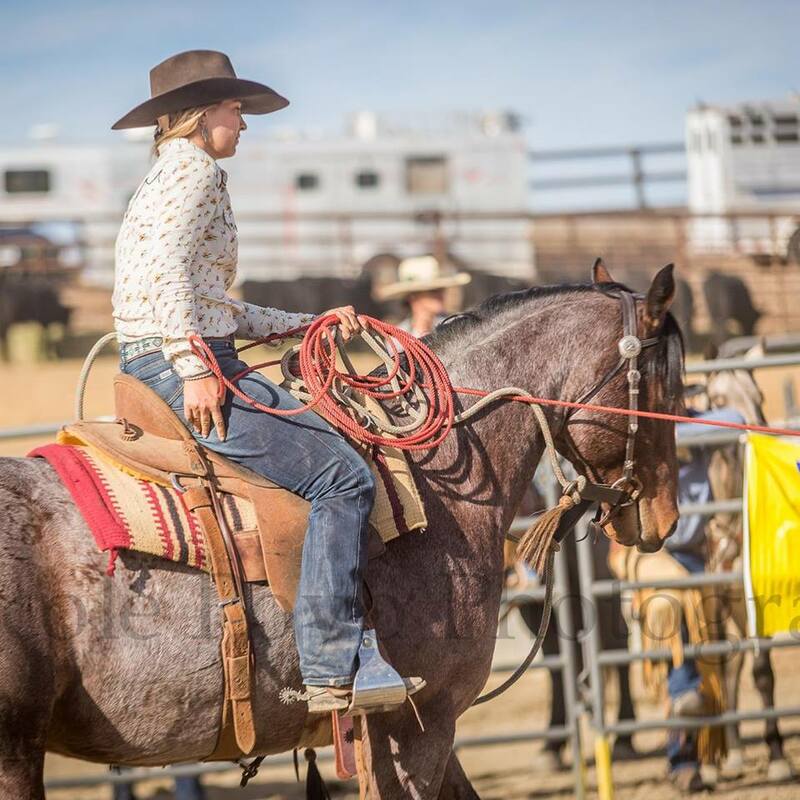 Reata Brannaman is a native of Sheridan, Wyoming where she grew up on her family ranch raising and training horses. Working with her father, Buck Brannaman, she was lucky to get to spend most of her childhood traveling around the country helping her dad put on horsemanship clinics and riding every kind of horse imaginable. While still in high school, Reata bought her own stallion (MOVIN EASY WHISKEY) and began raising her own line of ranch horses; it was this big step that launched her into the world of marketing and selling ranch horses for the public. While attending Montana State University for her degree in Marketing, she began to teach the Colt Starting program for the University. The Colt Starting program at MSU required Reata to gather 20 head of colts every year from ranches around the country, teach 20 students how to start those colts, and then market and sell the colts at the end of the year; not to mention produce the Top of the West Horse Sale at Copper Spring Ranch. Throughout college, Reata was also able to manage her own business and market and sell horses that she used to teach in Bozeman; anything from colts with a good start to experienced ranch horses and horses for the whole family. Now days, Reata is managing her own stallion and brood mares as well as those of her parents' in Sheridan. To Reata, it isn't so mush helping people to find the right horse, as it is helping her horses to find the right person that they can continue to develop a relationship with.